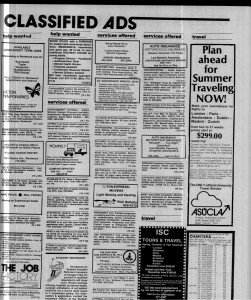 As I was rifling through the Daily Bruin archives the other day, I stumbled upon the classifieds from the paper released on this day in January 1976. These were highly entertaining to read, so I thought I’d share a few. 2. 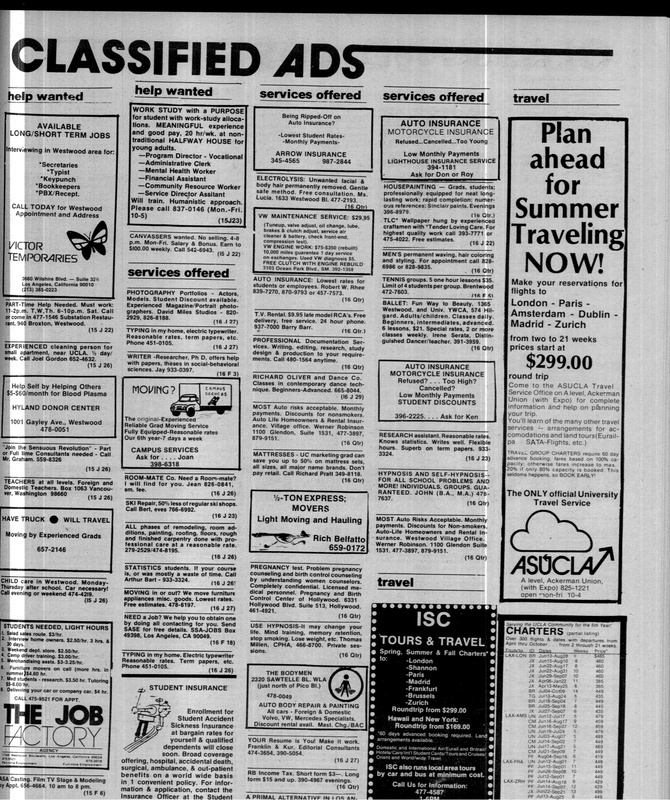 Now for the apartments for rent … if you are currently paying to live in apartments, simply ignore this section in order to prevent lifelong bitterness. If only Los Angeles were nearly this inexpensive nowadays. 3. And if you need someone to type your papers, never fear!